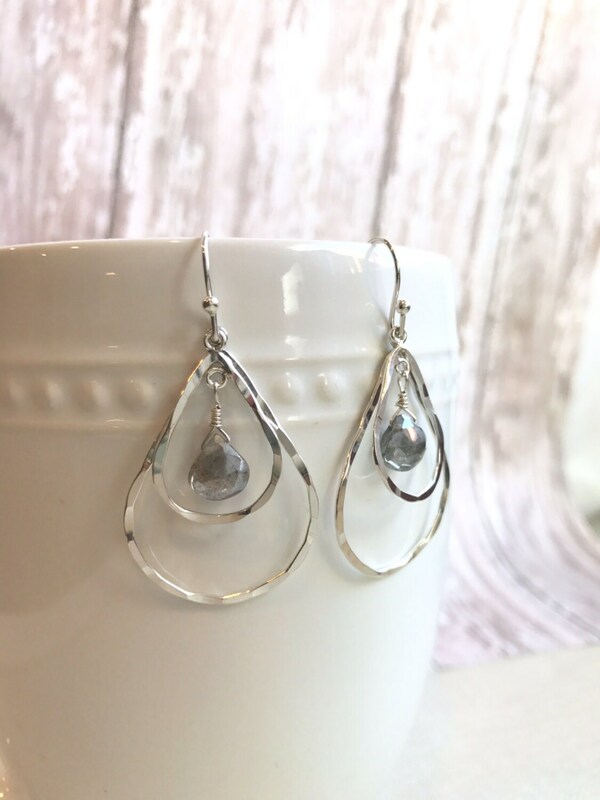 A pretty and versatile double tier earring that sparkles and shines! 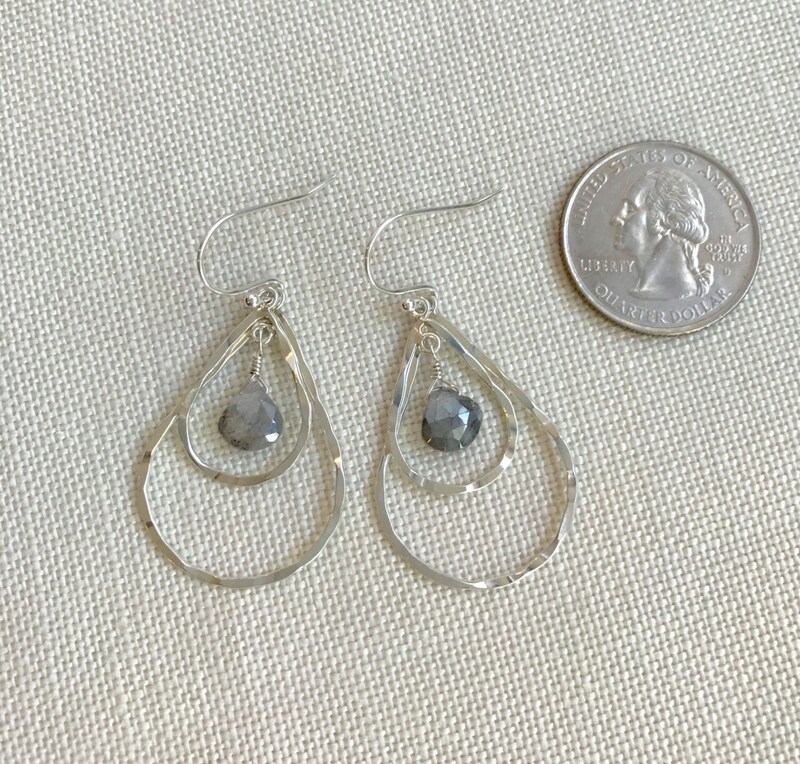 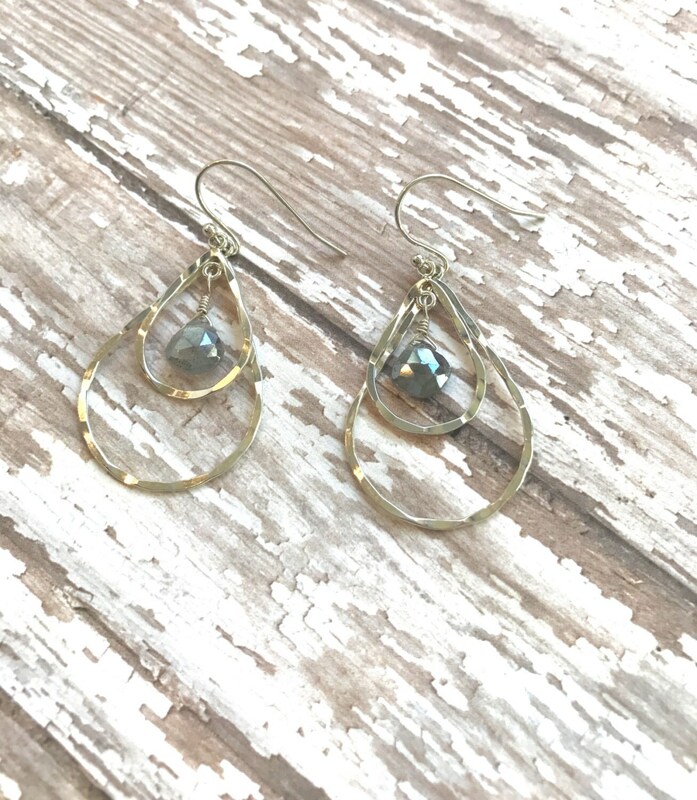 Gray labradorite gemstone dances amid hammered sterling silver hoops. 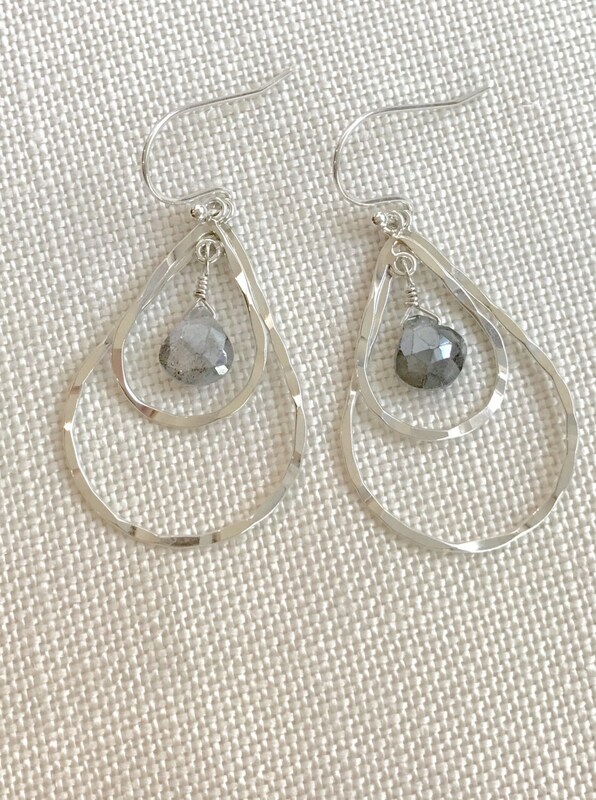 These earrings work well dressed up or for everyday wear.